Arrested? Talk To Us First Contact our office for free consultation and LET US FIGHT FOR YOU! DUI: Driving Under the Influence of Alcohol is a serious criminal charge. Offenders could face up to six months in jail and a one year driver's license suspension for the first offense. A second conviction carries up to nine months to one year in jail and a compulsory five years minimum driver's license suspension, if the individual is found guilty within five years of the previous conviction. The gravity of the punishment increases if the individual is charged with additional DUI violations. Richard E. Mirsky will exhaustively analyze the DUI investigation process to which you were subjected. The police must follow a very strict protocol in these situations and if they failed to do so, this can lead to the dismissal of your DUI charge. Rest assured that Mr. Mirksy will direct all of the legal tools at his disposal, including the testimony of experts in breath testing and roadside sobriety tests, if necessary, to question and challenge all of the state's evidence against you. You are in excellent hands with the Mirsky Law Firm. Arrested? Talk To Us First! Contact our office for free consultation and LET US FIGHT FOR YOU! Traffic Offenses Traffic violations are expensive, time consuming and points will be assessed against your license at the very least. Some could actually result in a suspended license and jail time depending on the severity of the offense. Don't face the consequences alone. 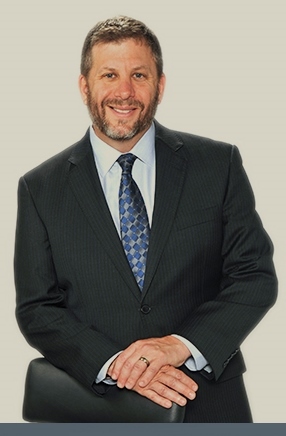 Richard E. Mirsky has personally handled over 30,000 traffic cases and he will apply his extensive experience in the intricacies and technicalities of Florida Traffic Law towards defending and protecting your legal rights. Below are some of the most common traffic offenses. Speeding: If you've received a speeding ticket, the effects can be inconvenient and expensive, including a substantial insurance increase. You could also be subjected to a lengthy license suspension, significant fines and the possibility of jail time. Red Light Cameras Reckless Driving: Reckless Driving is a criminal offense in Florida and it is handled by the State Attorney's prosecutors. You can't just pay a Reckless Driving ticket. The charge carries a penalty of up to ninety days in jail and a fine of $500.00 as well as court costs for the first offense. The guilty party will also be assessed four points on his/her driver's license and carry a criminal misdemeanor record. Racing on Highway Suspended License: A driver's license may be suspended for various reasons, including DUI or failure to pay a traffic ticket. A number of license suspensions can be overturned by a simple fee payment and advising the appropriate agency. If you have been charged with any of these offenses, call the Law Office of Richard E. Mirsky today. Criminal law and DUI defense has always been my be passion. This has always been my focus throughout my career. For 22 years I have dedicated my practice to criminal law. I was admitted to the Florida State Bar in 1993, and I am licensed to practice law in all Florida Courts. In addition, I am admitted to practice before the United States Supreme Court and the United States District Court for the Southern District of Florida. I am a member of numerous associations including the Florida Association of Criminal Defense Lawyers and the National Association of Criminal Defense Lawyers. I am an experienced trial lawyer in a wide range of Criminal Defense areas including jury trials, motion practice, oral arguments, evidentiary hearings and plea negotiations. I am passionate about representing and defending my clients and I am proud of the favorable results that I have been able to obtain for them over the past 22 years. I always give my clients personalized attention and providing the best representation available while offering a reasonable fee. Richard Mirsky has defended thousands of people charged with DUI as well as over 30,000 traffic citations in all of South Florida. Additionally, he has handled a wide range of serious felony cases. His success in the courtroom has led to numerous verdicts of not guilty in cases ranging from traffic infractions to a wide range of felony cases. He has handled and won hundreds of drivers license hearings in which people arrested for DUI had their driving privileges restored. Richard Mirsky is a graduate of Widener University School of Law and received his B.S. degree from Florida International University in 1987. He has been an active member of the Florida Bar since 1993. Active Member of Florida Association of Criminal Defense Lawyers.